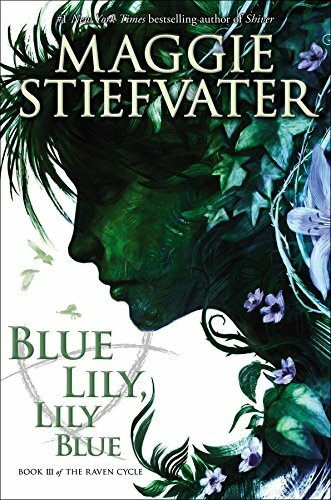 In this third of a planned quartet, Maggie Stiefvater again delivers a mesmerizing story populated with the unique cadre of eclectic characters she introduced in The Raven Boys and The Dream Thieves. The raven boys themselves number three—or four—depending on how you count them. There’s Gansey, the good-looking preppie boy from old money whose only wish is to discover the legendary Welsh king, Glendower, said to sleep along the ley line—a supernatural energy path—that slashes through their little town of Henrietta, Virginia. Adam, the scholarship boy, who escaped an abusive home life to attend the exclusive Aglionby Academy with his friends, clings to them even as he fiercely defends his independence by holding down three jobs to support himself. Adam is connected to (or is it controlled by?) Cabeswater, a magical, sentient forest that demands he tend to the ley line in his nonexistent spare time. Ronan is also from money, but dark money, mysterious money, money derived from an impossible supernatural secret he shares with his late father. Ronan, like his father, populates his world with people, places, and objects that he dreams into existence. And Noah is a nearly solid ghost energized after his bones were buried on the ley line. He has a disturbing habit of appearing and disappearing at odd times. Only Blue can control his troubling tendencies. Blue, the small-town girl who tries to keep the peace and hold them all together, lives in a house filled with psychic female relatives. She herself claims no such ability, but others’ powers grow stronger in her presence. Her family foretells her true love will die when she kisses him. She is determined to kiss no boy. Ever. Especially not Gansey or Adam. During another cavern descent, the group awakens one of three sleepers, Gwenllian, Glendower’s daughter. Half-crazy after 600 years of burial, she gives clues to finding her father hidden within her coded and confused singing. And the horrors that spew out of yet another cave are enough to curdle the blood. Surprises and shocks fill the final cave exploration, leaving readers to wonder who the sleepers actually are, and is the one that awoke the one that shouldn’t have? Will she/he/it be back in the next book? Readers will race through this story. Its colorful and engaging characters, fast-paced plot, and twisted surprises around every corner are sure to capture the attention of those who enjoy this genre. Ms. Stiefvater creates a moody, nuanced world that is both astonishing and memorable. Do we really have to wait another year for the conclusion of The Raven Cycle?